An angelic choir sings. A full orchestra plays. A school bell rings. As a self indulgent sax solo fades, replaced by the sound of screeching tyres and a car horn, one of the most famous addresses in the cartoon world appears on our screens; ‘742 Evergreen Terrace’. And the residents of this exclusive post code? None other than Homer, Marge, Bart, Lisa & Maggie…AKA ‘The Simpsons’ (of course!). Since 1989, ‘The Simpsons’ has been a family favourite and an ever-present on tv screens around the world. We’ve probably all got our favourite characters (Homer for me. If you’re asking…) and least favourites (I have a distaste for Lisa…is it weird to consider a cartoon character as being pretentious?!) but suffice to say, we’ve taken this little yellow family unit in to our hearts. But if Bart Simpson is busy putting the ‘Spring’ in to ‘Springfield’, there’s another loveable rogue a little closer to home who’s attempting to put the ‘Sutton’ in to ‘Sutton Coldfield’. Ok, perhaps not quite as catchy…but if I told you that he was also willing to put the ‘Gin’ in to your ‘Gin & Tonic’ I bet I’d get your attention…And the fact that he goes by the name ‘Brad Simpson’…I mean come on – the intro wrote itself! But let’s pause there for a second. That name may sound familiar for reasons other than a just a tenuous link to an American cartoon family…and so it should. Brad Simpson is also the lead singer of hit Pop Rock band ‘The Vamps’, who are quite literally adored by millions for their heart throb good looks (not my words, but a sentiment I won’t deny!) and catchy hooks. And to his list of musical accolades, Brad has decided to embark on a new side venture, by adding the newest location to the gin address book straight on to the streets of his home town of Sutton. Having opened their doors to the public on 5th February this year, it’s safe to say that this is no ‘Mo’s Tavern’. And Marge & Homer are going to need to move over, because this is a real family affair! Alongside Brad, meet co-owners Anne-Marie (Mom), Derek (Dad) and Natalie (Sister). TGSB: So ‘Simpsons Bar’; What’s it all about? And what ‘vibe’ can people expect to find? Brad: Whether you’re looking to have a quiet night with a loved one, or start your Saturday night off with a touch of class, Simpsons Bar accommodates all. Serving up high quality spirits, beers and cocktails, we have something for everyone and a set of staff that cater, expertly, to your every need. Due to Simpsons being a family run business, we wanted to instil the ethics that have ran through our family for years, into the bar. Those of spreading love, looking after one another, and having a laugh! Pop your head into the bar for a taste of all this. TGSB: There’s a real ‘1920’s prohibition’ feel to the bar – what made you take that route and how do you achieve that look & feel? Brad: We’ve always loved the class that was associated with the 1920’s, the style, speakeasy’s and smokey atmosphere is something we’ve always wanted to experience when going out for a drink. A lot of the concept behind the bar comes from personal experience and what we love and therefore hope others will. TGSB: How long has the concept of ‘Simpsons Bar’ been in the making for? What’s the vision/aspirations for the future? Brad: It was the brainchild of Mother Simpson. Anne-Marie originally wanted to open a cafe a few years ago but parked the idea. With the recent rise of Gin however, it all felt right place, right time! I think we’re currently focused on this bar (its become our little baby!) but we definitely have ideas in the pipeline. Another bar, gin festivals, the list goes on! TGSB: Why the focus on gin? Has it always been a passion in the family? Brad: Gin in our mind, goes hand in hand with the 1920’s aesthetic. Its got a real touch of class and cool, and has always been a favourite drink in the Simpson household. Again, with the recent spike in its popularity, its a very happy coincidence. TGSB: Why was basing yourselves in Sutton important to you? Brad: We are very lucky as a family that we have had the opportunity to travel and see some incredible places, but as cliche as it sounds, nowhere is quite like home. It wouldn’t have felt right to do it anywhere else and also we wanted something in Sutton to add to its already fantastic range of bars and pubs, but something catered to more of a intimate night. 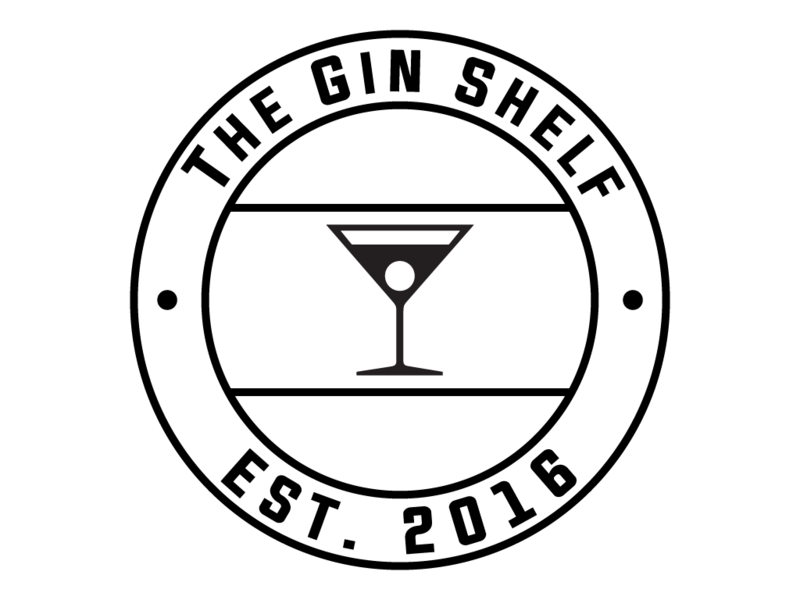 TGSB: How many different varieties of gins/brands can people find on the back bar and do you have any that will get people really excited? Brad: We are currently looking at having around 40+ different brands of Gin, you can never have too much gin! We’ve got a few we are really excited about, Larios 12 Botanicals, Pothecary Gin, No.209 Sauvignon Blanc Barrel Reserve. Enough for the local gin connoisseur we hope! TGSB: Will you be working with any small batch producers/brands? Or any exclusive producers? Brad: Tiger is a locally produced Gin and we are hoping to build a very close relationship with those guys. TGSB: Gin has obviously taken off in a big way, particularly in recent years, with gin bars/specialists popping up all over the country. What is it that will make ‘Simpsons Bar’ stand out from the crowd? Brad: We pride ourselves on being family run and like I said, using our family values as a thread throughout the bar. And no matter how established the bar gets, maintaining the level of intimacy and care for the customer is what we ensure to do. TGSB: It seems like ‘Simpsons Bar’ is a real family affair then? How important is the family feel to the bars set up? Brad: Aha, I don’t know if you can tell by the previous answers, but its pretty important! We are a very tight knit family, and we’ve been to pubs and bars that have been family run and you can really feel that once you get into the venue, thats how we want it to feel when people come into Simpson’s. If you’re drinking with us, you are part of the family! TGSB: What is ‘Simpsons drink of choice’? Mother Simpson – A cheeky sweet orange Gin by Chase, accompanied by Mediterranean tonic, with a garnish of rosemary and lemon grass. Lots of ice! Poppa Simpson – A solid Birmingham Brokers Gin, with a ginger beer and a garnish of cinnamon bark. Natalie – A sucker for a simple Hendricks with a classic Fever tree tonic and a cucumber twist. And for myself, whilst I’m also a gin lover, and would go for a Ophir and lemonade with a slice of ginger, Japanese Whiskey will always have a special place in my heart; Hibiki neat with a splash of warm water, no ice. Which we happen to be stocking in the bar! Win win! Brad: We don’t want to give away too much too early! But we have a few cocktails that are very suited to Sutton 😉 Of course there is a lot more on the menu from beers to every spirit under the sun, some original cocktails and a range of teas and coffees. TGSB: Music is obviously a huge part of the Simpsons life! What can punters expect to hear in ‘Simpsons Bar’? I’ve heard you will be DJ’ing occasionally – can customers expect to hear any ‘Vamps’ hits? Brad: Music obviously is a huge part of our lives as it is in everyones, and can make or break the atmosphere in a bar. We want people to feel relaxed but also maybe give them the idea of carrying the night on till the early hours! A lot of 70’s gets played in our house, ‘Earth Wind and Fire, ‘Kool and the gang’, all the classics! Who knows maybe a few vamps songs in there..
TGSB: How much time does an international pop career leave for bar tending?! And how hands on is the operation going to be for you guys – are you in the role of ‘owners’ or are the family very much on the front line? Brad: Haha! Its gonna be a bit of a juggling act but I’m looking forward to it and it has been very exciting for me and a nice challenge, exercising a different part of my brain for once. We intend to be on the front line, we want to know exactly what is going on in the bar and again make people feel right at home in our bar. TGSB: Are there any promotions or anything special to call out that readers should know about? Brad: There will be a load of events and opportunities for members of the public to feel even more involved in Simpson’s. Keep your eyes peeled and your ears to the ground! So there you have it folks! If you’re in the Midlands, why not make a booking, ‘pull up a pew’ and raise a glass full of your favourite gin in celebration that we have a new Simpsons family to take to our hearts! And if you’re not in the Midlands…well what are you doing still reading?! Get yourself to ‘Simpsons Gin Bar’ – in the words of Bart, ‘Ay Caramba’…you’ll be glad that you did!